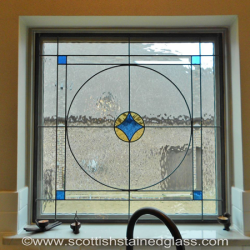 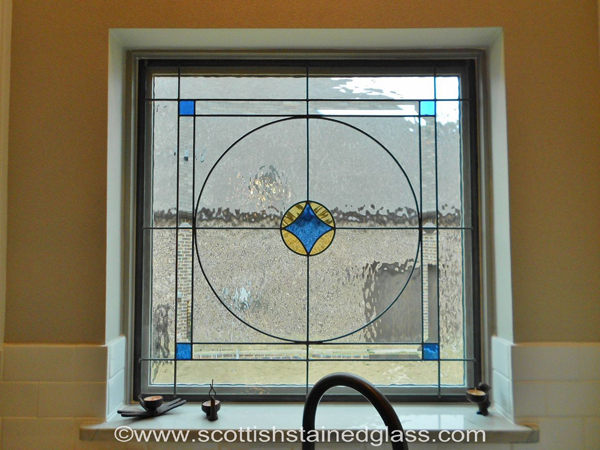 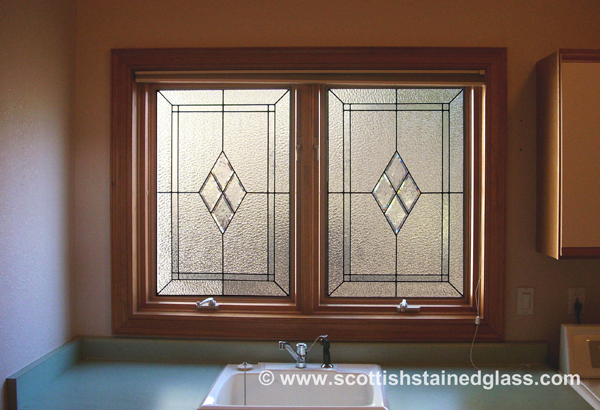 Kitchen stained glass is one of the most popular applications of our products today, and with good reason! 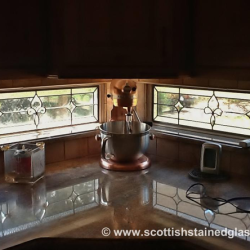 After all, the kitchen is the heart of any home, and it’s probably one of the rooms in your home where you spend the most time. 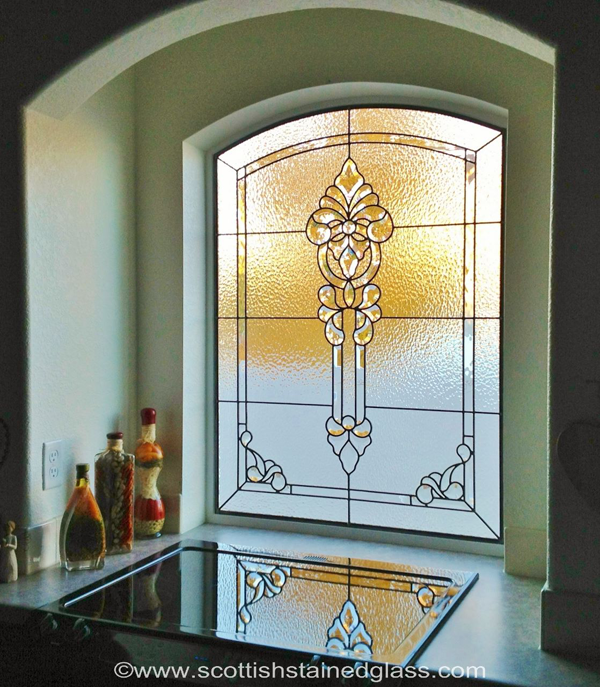 Stained glass is a stunning addition to your cabinets or your kitchen windows that will create an upscale, updated look! 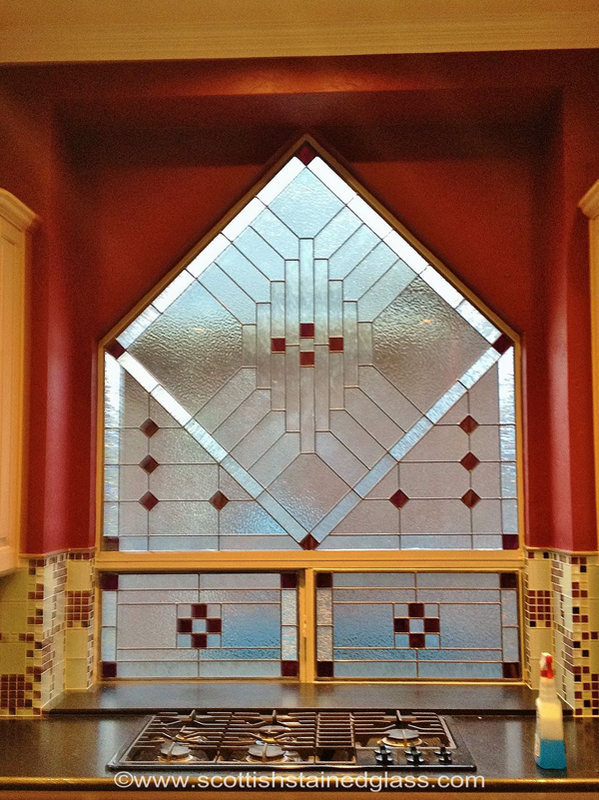 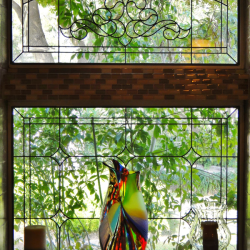 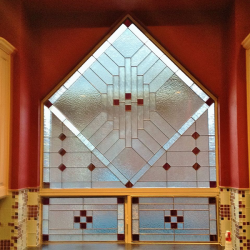 At Kansas City Stained Glass, we are proud to offer custom stained glass windows to meet the needs of every client. 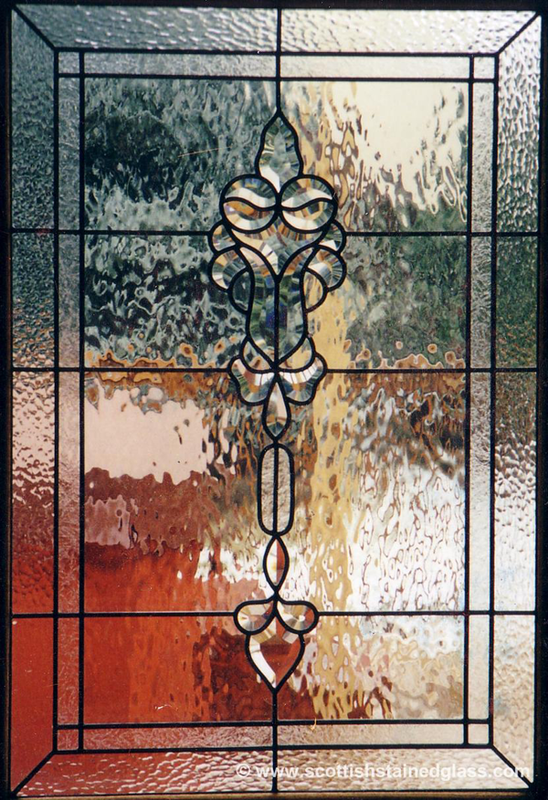 This means that whatever size or shape you need, we have the ability to accommodate, and to help you design something that you’ll love! 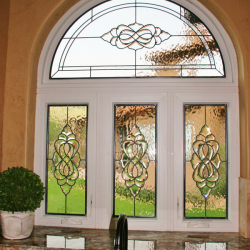 To begin the process, we will set an appointment for a designer to visit your home and go over your options. 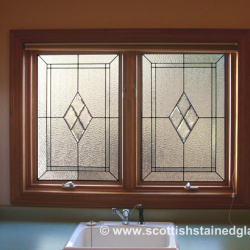 One of the most common options for kitchens is to add leaded glass to cabinet doors. 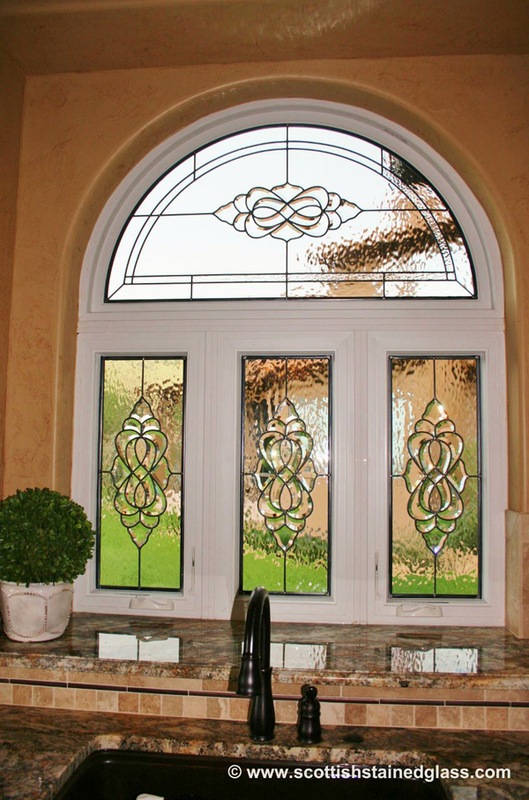 Your options for this are endless in terms of design, and we can create something that displays the contents, or that keeps things hidden still with privacy glass. 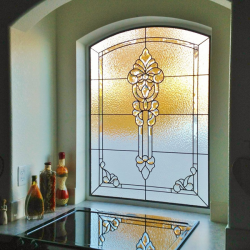 No matter what you choose, you’ll be able to brighten your kitchen and update your cabinets in a beautiful way. 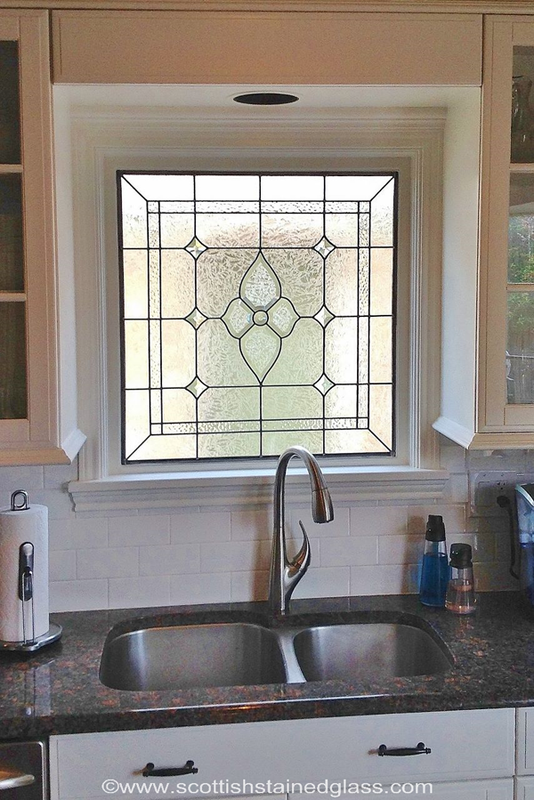 If you have windows in your kitchen, you’ve probably noticed that privacy has become an issue. 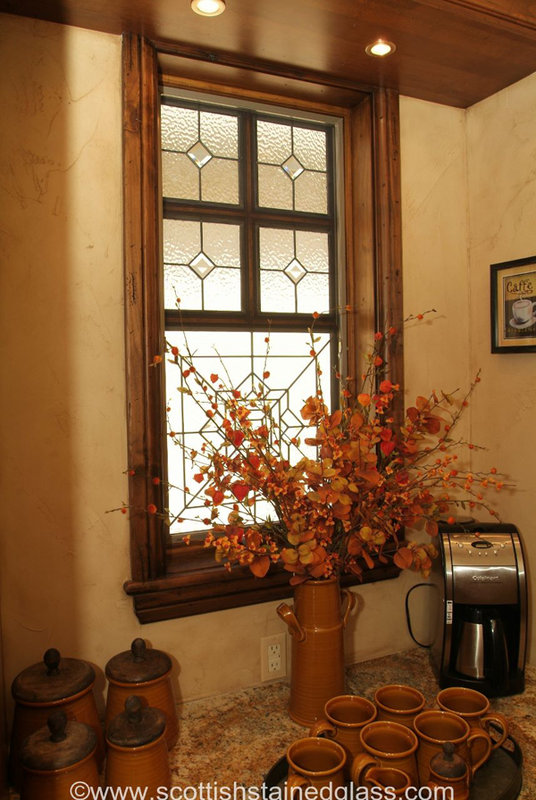 Since you and your family spend so much time in the kitchen, why block out the natural light in order to get privacy in this space? 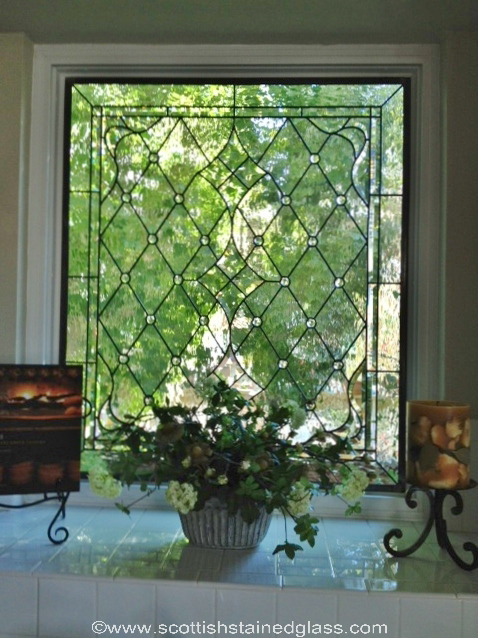 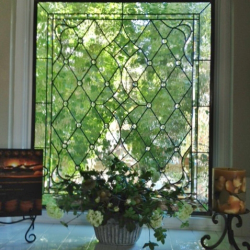 Instead, work with one of our talented designers to create a leaded glass design that will look amazing, and that will keep peeking eyes out while letting natural light in. 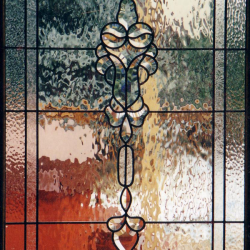 During your in-home consultation, your designer will show you the vast options that you have for kitchen stained glass. 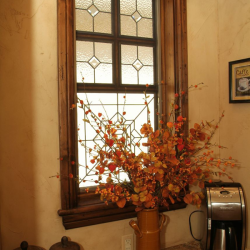 We always brings glass samples and hundreds of photos to help you make the best decision for your space. 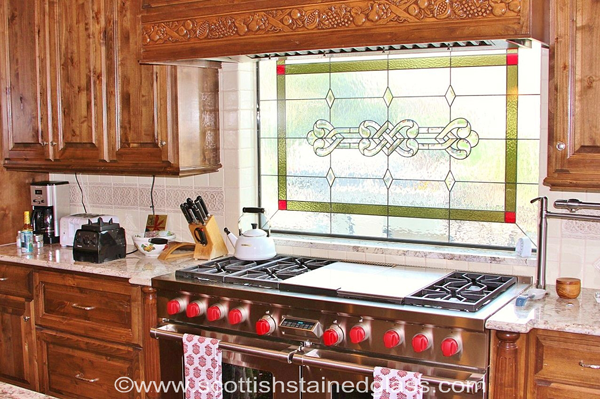 Some of our most popular designs include those inspired by Frank Lloyd Wright.In the meantime, we suggest that you browse through the photos on this website to get a better idea of what styles you like. 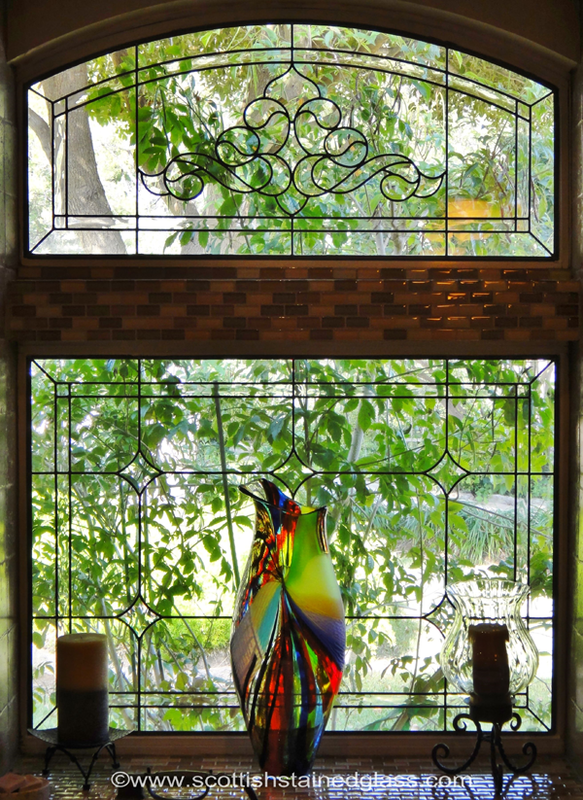 If you find some photos that you like, it’s a great starting point for our designers. 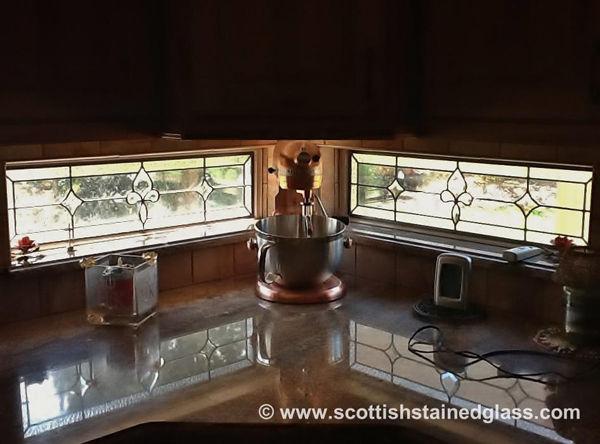 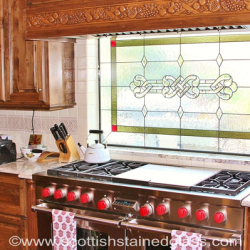 If you have any questions about kitchen stained glass, our process, or if you’d like to get started today, don’t hesitate to contact us via phone or email. 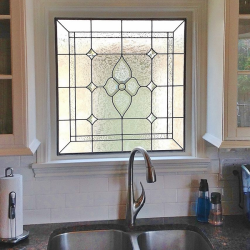 We are always happy to answer any questions, and we can’t wait to get started on updating your kitchen with beautiful leaded glass windows!